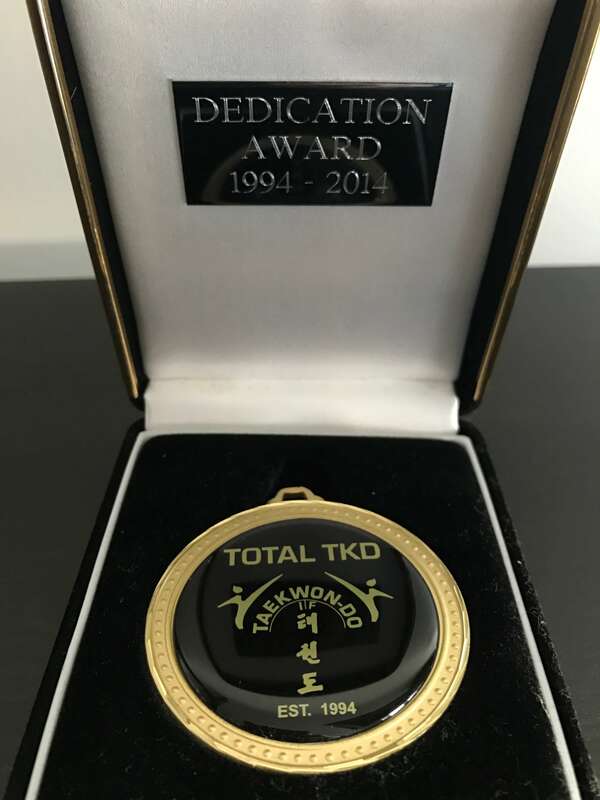 TOTAL TKD Awards are presented at the last association event of the year which historically is at the TOTAL TKD annual competition. The awards are split into four categories, please see below for a brief description of each. 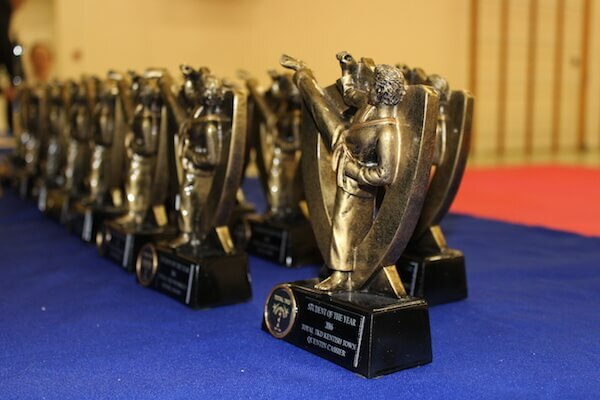 Instructors from all TOTAL TKD school are requested to submit the name of the student who they would like to receive the student of the year award. 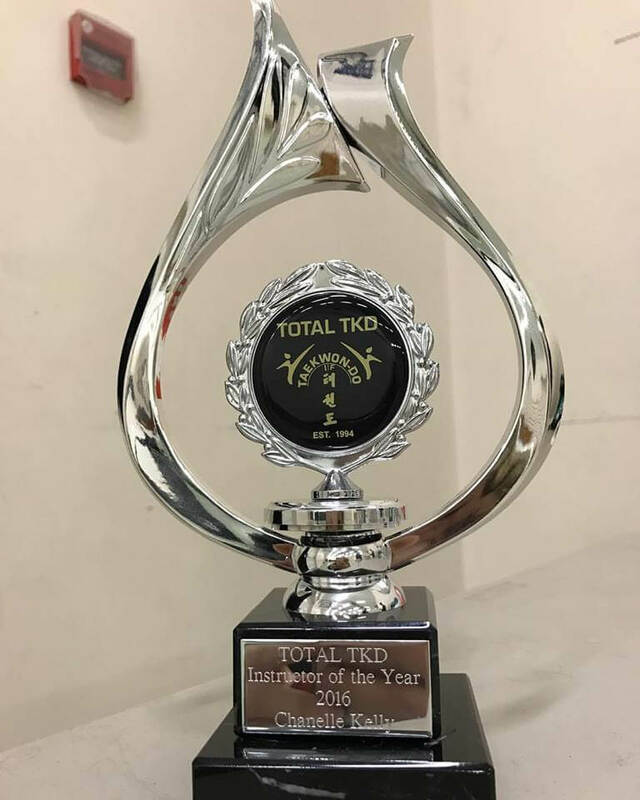 The award is presented to the student who has trained regularly, competed at numerous competitions, performed well at gradings, offers help and assistance to their Instructor/fellow students and observes the Tenets and Oath of Taekwon-Do. 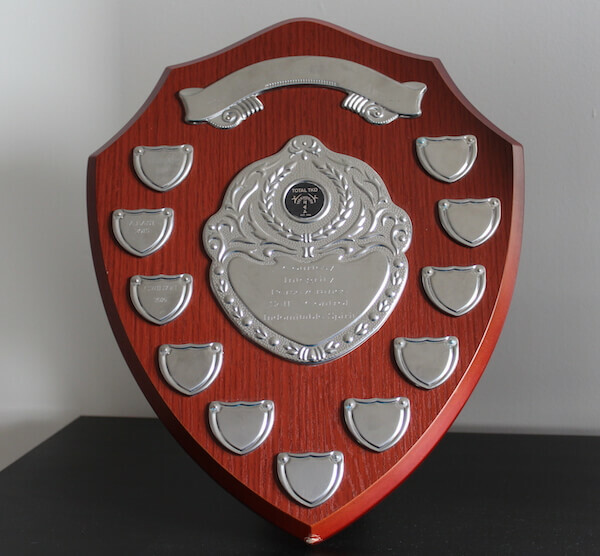 This award is presented my Master Symonds for the Instructor who has contributed to their school, focusing on a high standard of teaching, good organisation, has the ability to motivate/encourage their students to grade, compete and attend TOTAL TKD events. This Instructor uphold the values of Taekwon-Do and passes this on to their students. This award is for those students or Instructors who have trained or taught for 10 years within TOTAL TKD. They are awarded a long service award to mark there achievement. These individuals form the backbone of TOTAL TKD, without which the association would not be the same. In memory of one of the founding members of TOTAL TKD the 'Marcia Griffith Tenets Award' was inaugurated after her passing on 30th June 2014. It is the highest award in TOTAL TKD and is awarded for outstanding contribution and dedication to the association. Marcia was a huge influence on our association and lived her life through the Tenets of Taekwon-Do, she was always prepared to help all students and support the the association unreservedly. Marcia's indomitable spirit was evident when she tested to 3rd degree while undergoing chemotherapy and was subsequently honoured posthumously with a 4th degree by the ITF for her lifetime contribution to Taekwon-Do.